september 11th – Yeah.. like the mermaid. THE ANNIVERSARY OF SEPTEMBER 11TH. We are surrounded by reminders of September 11, 2001 almost constantly. I remember, even a few years after the attacks, thinking that it was something I heard about almost daily in some capacity or another. Every year, I think I’ve “gotten over it” or “moved on from it” and then every year, I sit in front of the TV crying and gasping for air while loved ones of those lost read the names and their photos pop up, one after the other. It’s such a stomach churning reality to face — I still go through the stages of grief — wondering how the hell something like that could even happen, and feeling scared that something similar still could. I was lucky enough to visit the WTC site many times during my 2.5 tenure at the PANYNJ, and even attended the Memorial service on 9/11 two years ago. It’s still such a raw nerve to know that some of the people I adore most in this world will never fully be healed by the acts of terrorism on that day. It’s easy to forget when we go about our day-to-day lives, but it’s ALWAYS in the back of my mind. 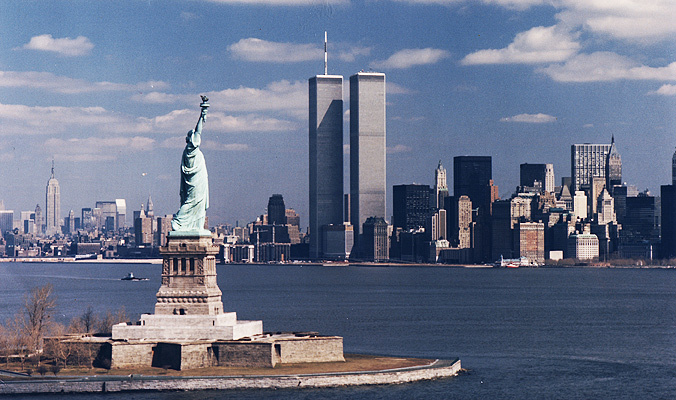 Today and every day, for my Port Authority family, I remember.